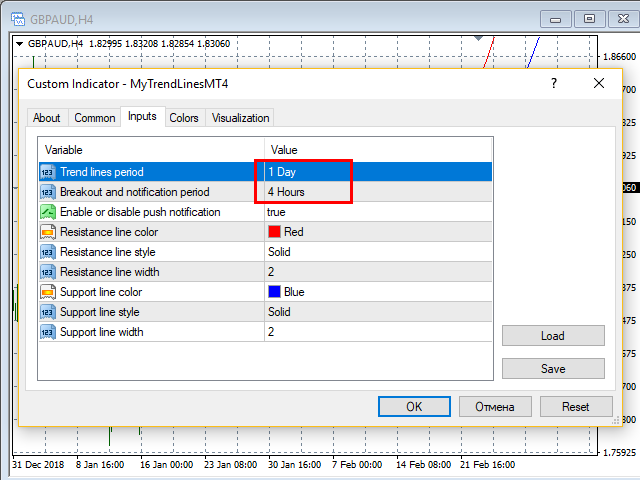 The Indicator automatically draws trend lines on the specified timeframe (Trend lines period parameter). The lines are drawn based on the last two known fractals of the specified period. A peculiarity of this Indicator is that the lines are drawn with accuracy up to 15 minutes. 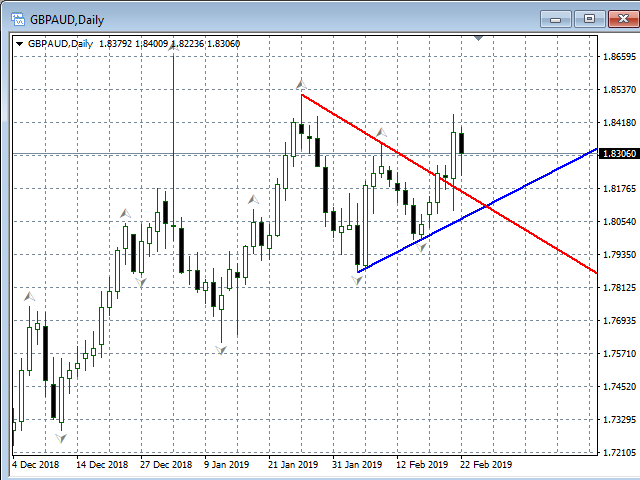 It allows analyzing the chart on smaller timeframes without loosing the precision of drawing the lines in relation to the extrema of the prices. It is suitable for an intraday and medium term trading. 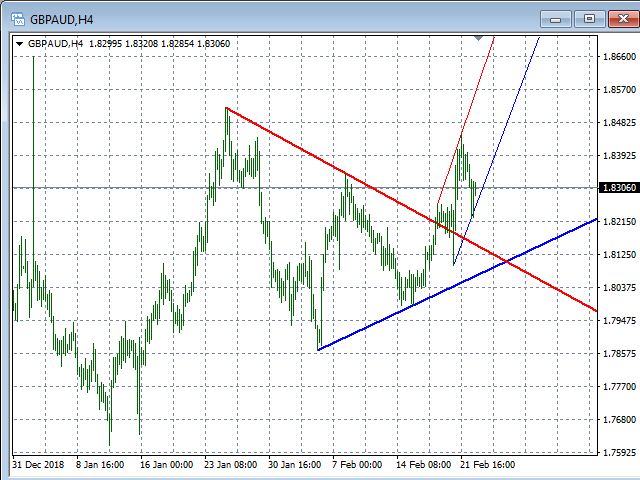 The minimum timeframe for drawing trend lines (the Trend lines period parameter) is 15 minutes, maximum - D1. 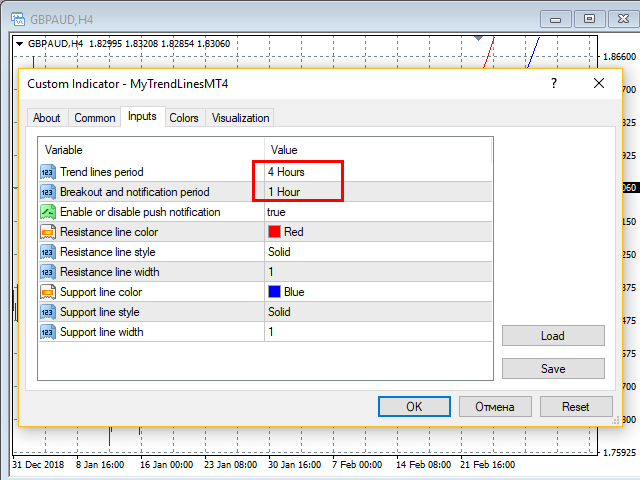 The parameters of trend lines (color, style, width) are set by the input parameters of the indicator. The indicator sends push notifications in case of price breakout of trend lines. For this, the parameter Enable or disable push notification must be set to True. The period of breakout and the frequency of sending notifications are configured in the input parameters (parameter Breakout and notification period). The notification is sent once in the specified period. 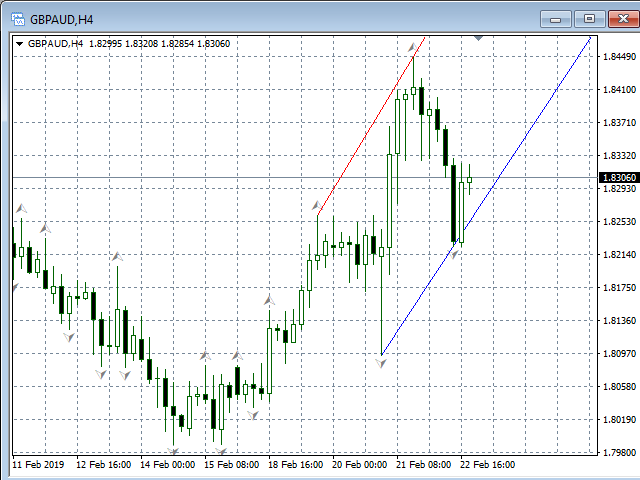 Several indicators with different parameters can be installed on one chart. Support line width - this parameter sets the width of the support line.